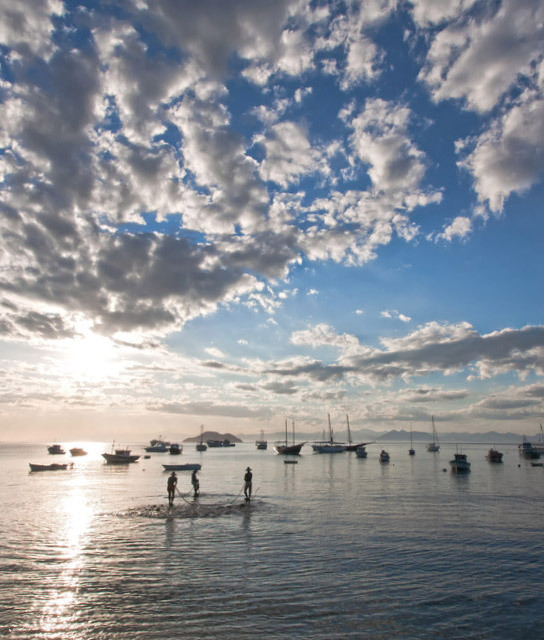 When French actress Brigitte Bardot vacationed here back in the 1960s, she put the sleepy fishing villages some two hours from Rio that comprise Buzios on the map. She didn’t make the 5-mile-long peninsula and 17 beaches beautiful—it was already that and more—she just opened the world’s eyes to its beauty (something she had always been quite good at). In truth, with its excellent eateries, chic boutiques, narrow cobblestone streets, and many a welcoming bar or hotel Buzios has something of a St. Tropez feel. It also has the sportsman flair one would expect from Brazil. Geribá Beach is the place for surfing, while the horseshoe-shaped bay Ferradura Beach is perfect for snorkeling. Yes, there’s windsurfing, kite surfing, and hiking to write home about. And remote spots far from any Buzios hotel that offer unparalleled beauty. Go ahead. Escape. Brigitte would be proud. Below find a list of our selection of boutique and luxury properties in Buzios.